Lock in a great price for Rock Mouse Homestay – rated 9.6 by recent guests! Maybe the best breakfast we had in all of Vietnam. The family running the hotel was the sweetest, most friendly people you could ask for. They gave us excellent tips to try local food and they made us a breakfast on the last day when leaving really early in the morning. Also bikes are included to borrow for free and you can reach the beach in very short time. 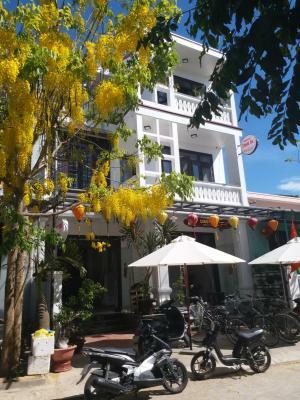 Loved this hotel, it was a bright spot in our overall average impressions from Hoi An, where there’s nothing to do and is obercrowded with tourists. Incredible host. Friendly, knowledgeable about the area, generous and endlessly helpful. Location was perfect. One minute walk to night market, bars, and excellent food. Comfortable good sized room and delicious breakfast on the roof every morning. 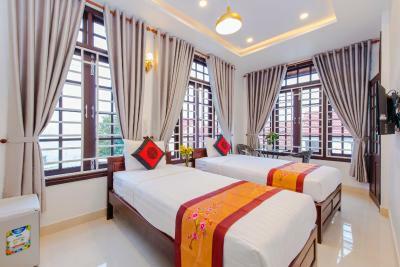 Best place we’ve stayed in all of Vietnam — and the best value. Super nice family. Always a friendly face and a complimentary beer to greet us when we first arrived and every time we returned from being out and about. Quiet location two streets away from busy tourist waterfront. We were there for Tet and it was nice to get away from the crowds while being only five minutes walk from the activity. Nice bonuses were refrigerator in room, plug strip, and rooftop breakfast with river view. Host family was very gracious and helpful. Unlimited bottled water. Staff were amazingly friendly and helpful. Really made us feel like part of the family, including us in family gatherings, making sure we always had enough water which they supply free of charge and the odd beer. 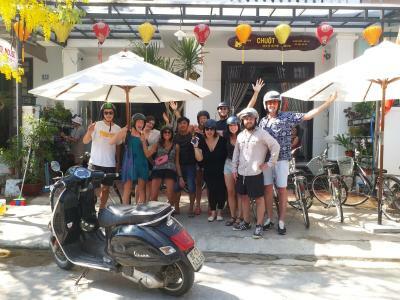 They really went above and beyond to make our stay in Hoi An perfect. Rooms were spacious, spotless and very comfortable. The breakfast was great lots of variety and one morning when we were away on a day trip they even prepared a breakfast for us to take away on that morning. 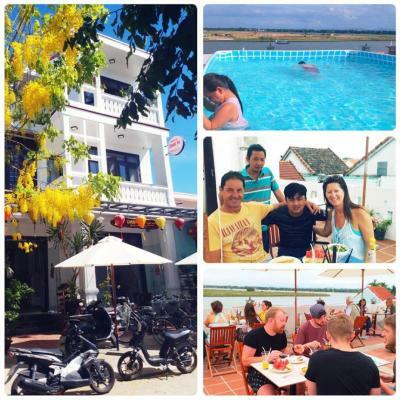 Recommend to all our best and favourite stay in Vietnam by far. Great place to stay! The staff is phenomenal. Every time we walked in the house they gave us bottles of water. They had bikes for us to use to ride all over town and to the beach for free. They did our laundry. The breakfast was phenomenal. Best mango I’ve ever had! Our room was very nicely decorated and the house felt very new with one floor of rooms probably 10 or so guests but you feel like you are in a hotel room with the perks of a homestay. The roof has a beautiful area with tables to eat breakfast. The pool is nothing much above ground, but it’s only 15 minutes from the beach. The owner helped organize airport pickup and drop off which was so convenient. They also did our laundry for a cheap price. Location was perfect. Everyone should stay here! 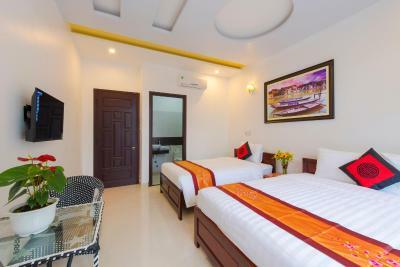 The clean rooms, the great location and proximity to Old Town, nice breakfast, free cycles that you can use to bike to the beach, roof top pool and nominal room rentals make this a great place to stay. And the wonderful hospitality of the family that owns the facility and the staff makes it even more worthwhile. They serve you with full heart. 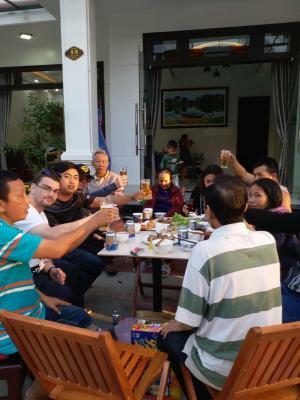 They also arranged for airport pick up and drop and a boat ride to Thanh Ha pottery village and Kim Bong carpentry village for very reasonable charges. Would highly recommend this place! The location could not have been better - across river from Old Town, on the small island. Quiet and tucked back behind all the busy/tourist streets. This location is next to the night market and where the lanterns are released! The staff was outstanding and very accommodating. Cold bottled water was always offered and available. 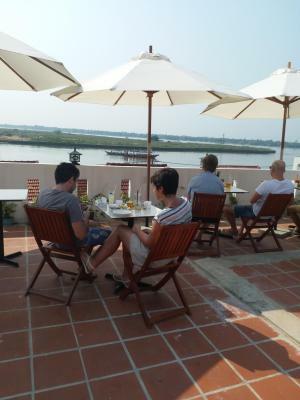 Breakfast was always fresh and delicious (menu to choose from), as we sat on the rooftop, overlooking the river. One morning the staff walked us to our destination (along the river, through the town) and taught us about parts of Hoi An. Staff will help you with tours or just offer suggestions of things to do on your own. Free bicycles! We will return here, for sure! Perfect location right next to the old city and night market. The staff is great, they hand you cold water bottles every time you come in or out. Good breakfast, great room and bed, 24/7 hot water in the shower. Roof terrace with a pool. The hosts are amazing! They looked after your every need, and it was hospitality first before anything else. When we arrived, the staff and guests were sat together for a big lunch to celebrate 'womens day' (where the male staff had prepared all the food, giving the women a break!) 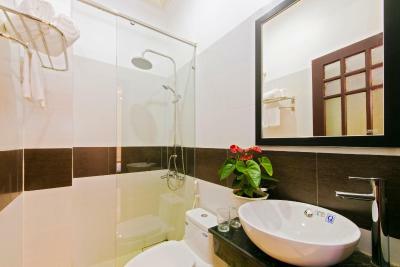 Rooms are clean and comfy, with bottled water free for you to take. The hostel is close to the old town, and though we could borrow bikes, we found it was just as easy to walk everywhere we wanted to go. A generous breakfast was served every morning on the roof top - a great place to relax with a view or to swim in their above ground pool. 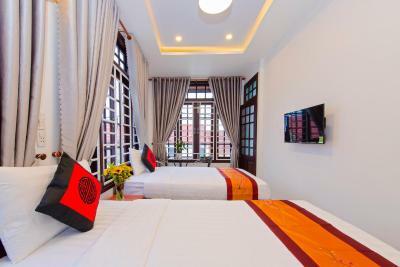 Make sure you stay here if you're visiting Hoi An!! Location is quiet and convenient. The breakfast was delicious, generous and home cooked. We got to use bicycles free of charge and got cold water everytime we came and left. The people were the nicest part - so lovely and gave us nice recommendations for tailor, local food and things to do. The room is clean and anytime we even mentioned anything they listened and reacted - for example, we said that it was too bright in the room to sleep late and they covered the glass door windows with tape while we were out. They also invited us to have chicken soup with the family for lunch on our last day, which was so kind. They arranged transport at a super reasonable price (about the same as grab) from the train station in Da Nang and back to Da Nang when we left. Unlike a lot of places we've been, we never felt like they were trying to make money off of us. The value for what we paid is outstanding and I cant recommend it enough! 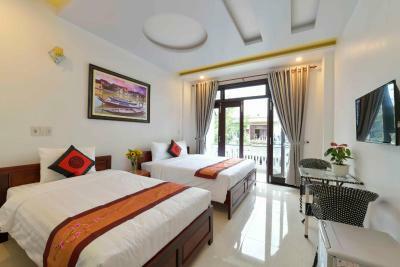 One of our top picks in Hoi An – and a guest favorite. Located a 4-minute walk from Assembly Hall of the Cantonese Chinese Congregation, Rock Mouse Homestay provides free bikes and free WiFi. 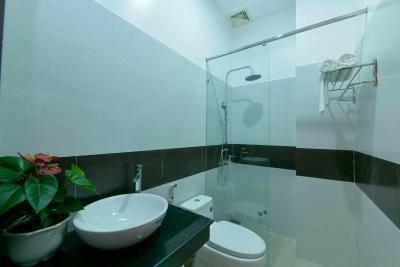 Every unit features a private bathroom and bidet, air conditioning, a flat-screen TV and a fridge. The bed and breakfast has an outdoor pool. Guests can swim in the indoor pool, go cycling or relax in the garden. Japanese Covered Bridge is 1,800 feet from Rock Mouse Homestay, while Hoi An Historic Museum is a 13-minute walk away. 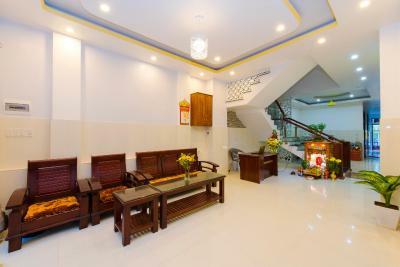 Da Nang International Airport is 18 miles from the property. 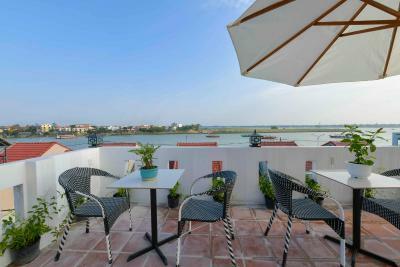 This property also has one of the top-rated locations in Hoi An! Guests are happier about it compared to other properties in the area. 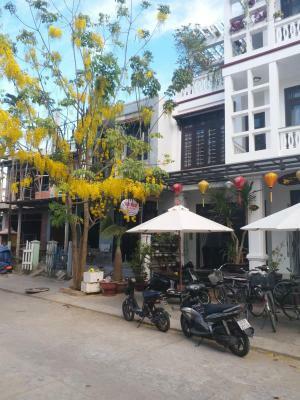 This property is also rated for the best value in Hoi An! Guests are getting more for their money when compared to other properties in this city. 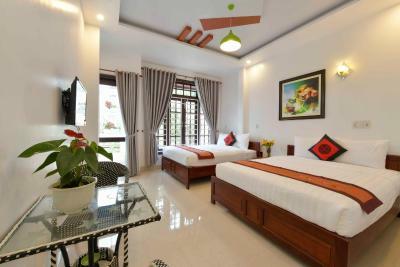 뀐 Located in the top-rated area in Hoi An, this property has an excellent location score of 9.8! 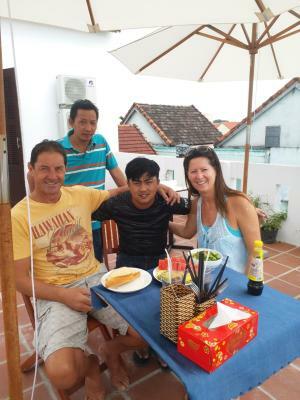 When would you like to stay at Rock Mouse Homestay? This family room has a private entrance, soundproofing and electric kettle. This double room features a flat-screen TV, electric kettle and dining area. This triple room has a dining area, soundproofing and tile/marble floor. Area Info – This neighborhood is a great choice for travelers interested in history, ambiance and city walks – Check location Excellent location – show map Guests loved walking around the neighborhood! House Rules Rock Mouse Homestay takes special requests – add in the next step! All children under 12 years are charged VND 116629.05 per night for extra beds. 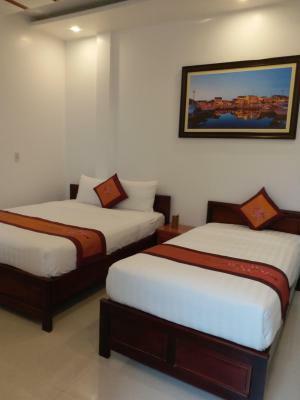 Any additional older children or adults are charged VND 116629.05 per night for extra beds. Rock Mouse Homestay accepts these cards and reserves the right to temporarily hold an amount prior to arrival. One of the best places I have ever booked via booking.com. Homely atmosphere, extremely friendly staff, perfect view from top floor and very, very tasty breakfast. Staff was super kind for kids (3 and 5 years). Very close to Street food pedestrian route (in the evening, 3 minutes left) and good street food place for afternoon (1 minute right). Amazing experience! The family who run this place are the kindest and friendliest family I’ve ever met! The owner is so informative and his English is incredible- he is so helpful and telling you the best spots to go to which other tourists may not know. The parents of this property are so sweet and every time we arrived back from our day they would always hand us ice cold water bottles (for free!) Location is the best- 2 mins walk from main strip but down a quieter street. Rooms are huge and well equipped with comfy beds. 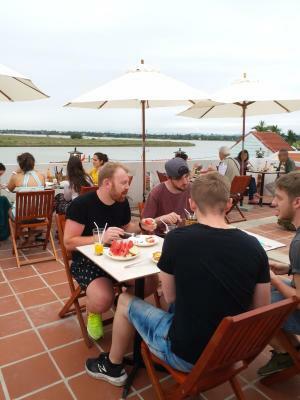 Breakfast delicious and is set on roof terrace overlooking lake. Beautiful !! I have nothing negative to say about this place! So glad we found this place. The location is great- walking distance to everything. There was a night market at the end of the street as well. It was still very quiet in the room. Honestly, one of the most comfortable beds I've ever slept in. Best of all though, was the lovely staff. They were so warm and greeted us with water bottles every time we walked in. We'll be back! Perfect location, delicious breakfast and amazing family! Very big attitude from host. Nice breakfast, a lot of vegetables, delicious pankakes:) Very helpful! Always waiting with bottle of water. Spacious rooms. Good airconditioning. The double family room was much smaller than we expected. The beds were comfortable, location was great, delicious breakfast, very clean and a wonderful family. 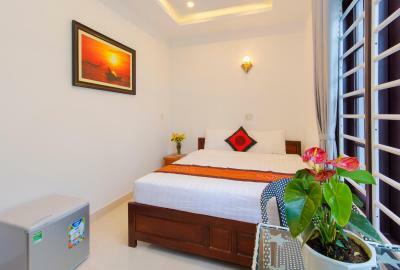 Very close to the night market, close to fabulous local restaurants, only 5 mins walking from business. Quiet, free bikes, given heaps of water at no extra cost each day. Family happy to help you out with everything we asked for. 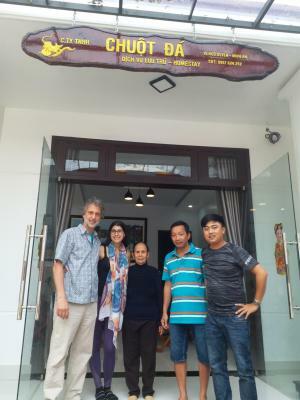 The owners of this homestay were so friendly and made us feel at home straight away, going out of their way to accommodate us when we arrived late at night and sharing loads of great recommendations of things to do and places to visit around Hoi An. 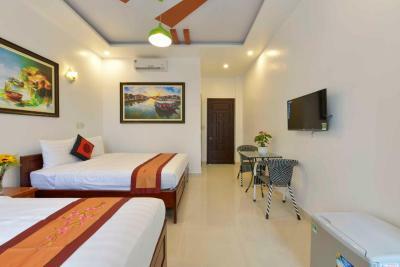 The rooms were absolutely spotless and location was ideal, just around the corner from bars and restaurants along the riverfront overlooking the old town (with great bia hoi!) and a short walk away from the night market. 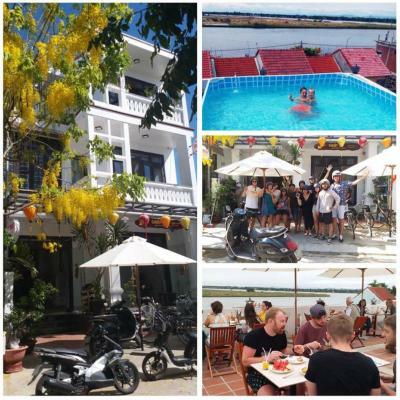 Would love to go back and would recommend to anyone visiting Hoi An. Breakfast was so great. The owner showed wonderful hospitality. I loved this hostel. The rooftop should be cleaned and the pool there is just a water of space. They provide free bikes that should really be updated. Excellent location. Walking distance to everywhere you want to within the city. Very good breakfast. Very clean room. Quiet place. The bicycles are quite old. Chains come off. Great location with a nice view from terrace. Quiet area, but very close to old city. Very kind and helpful service. Tasty breakfasts.